Here's a mini confession: I can be sort of self-conscious about my teeth. Truth is, I'm totally in love with coffee, tea and red wine (AKA the tooth staining triplets) and my front teeth seem to be the perfect canvas for collecting stains, so there are times when I hold back some of my toothier smiles. But of course I do occasionally freshen up with whitening treatments. Fall is one of those times of year when I want my teeth to look bright and polished—I feel like I always end up meeting new people in the fall. In the past I always met people when I started a new semester of school, and even as "grown-ups" a lot of people tend to move house or start new jobs around fall. Best to greet those new friends with a smile that's lovely, not scary. Fall is also the time of year that I tend to bust out slightly warmer-toned lipsticks—think slightly browner reds and berry hues. If you're anything like me then you know that yellow tooth stains do NOT go with warm lip colors. And if that's not a reason to do a little tooth whitening, I don't know what is. I've been testing out the Crest 3D White Brilliance Toothpaste System recently to get my smile ready and polished for fall—keep reading to see the results! Step 1 is a deep cleansing fluoride toothpaste. The texture is creamy but a little bit grainy—I like it because I feel like the grains really "polish" the teeth. It also has a deeply refreshing mint flavor. Step 2 is a smooth, semi-clear whitening finisher gel with a slightly minty taste. Dispense some of Step 1 onto your toothbrush. Brush with it for one minute and then spit, but do not rinse your mouth. Dispense some of Step 2 onto your toothbrush and brush for one minute. Once you're done you can spit, rinse, and admire your minty fresh teeth! I obviously don't look like I've visited the dentist for a thorough bleaching, but the overall tone of my teeth is slightly less yellow, and I think some of the surface stains that always manage to end up on the front of my teeth have been removed. I have continued to use Crest 3D White Brilliance Toothpaste System and so far I haven't experienced any sort of gum or tooth sensitivity as a result, so I plan on finishing up the tubes! Overall, I'm really pleased with the Crest 3D White Brilliance Toothpaste System. I saw more dramatic results within the first week than I expected to, and I really, really like the taste/texture of Step 1 (the deep cleansing toothpaste). It leaves my teeth with a nice, clean "polished" feeling, and it's minty enough to zap breath that's er... less than delightful. I'll admit that it took me a few tries to get used to not rinsing my mouth between steps, but once I got the hang of it, it didn't really add any time to my overall routine. Whatever's in this system is clearly too awesome for just one tube! 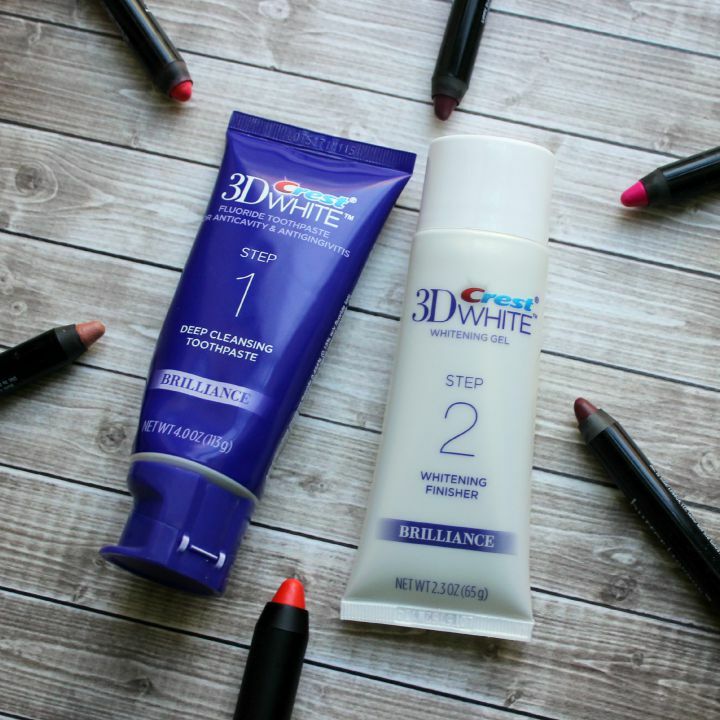 What do you think of the Crest 3D White Brilliance Toothpaste System? Does the idea of incorporating two separate products into your tooth brushing routine intrigue you? Let me know in the comments!